The fine folks at StudioPress have just given word that the price for their Pro-Plus Package will increase from $299.95 to $349.95, effective Tuesday January 31, 2012. If you aren’t familiar with the Pro-Plus Package, it is their all-inclusive package which includes the Genesis Framework and not only all of their Child Themes (45 as of this writing), but any Child Theme they ever release in the future. Before the price increases next week, they have dropped a 10% discount code on us. Simply click on this link, StudioPress Pro Plus All-Theme Package and then enter the discount code TEN, and you can save $79.95 off the new price. Seeing the need (there were no good resources out there at the time), I invested a bunch of time and made a comprehensive resource of all the active 3rd Party Child Theme Developers. I initially used this resource myself as I was searching all my child theme options for a new site, or for a site upgrade. They have since launched the StudioPress Marketplace, a place for 3rd Party Developers to sell Child Themes. There are still many other developers out there creating and selling Child Themes on their own. The current total of Premium Child Themes sits somewhere in the range of 110. Along the same lines, I saw the need to create an all-inclusive list of all the Free Child Themes that had been released. Since many developers have been so generous to put the work into a theme and then release it for free under the GPL, then creating a master list of them all is the least that I could do. There are now 43 Child Themes that have been released for Free under the GPL. 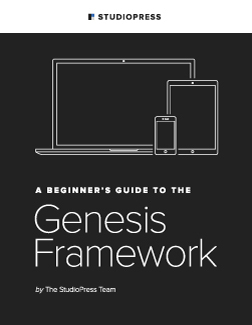 All you need to make that Child Theme work is to purchase a copy of the Genesis Framework for WordPress. I have used the Genesis Framework for over a year now on about a dozen different sites. My recommendation is based on that experience, and on the earlier negative experiences I have had with the typical “premium” themes out there. There are other good frameworks and theme authors out there, but have chosen to put my money on these guys. In addition to the team at StudioPress on their Support Forum, a great group of independent developers work to enhance the Genesis Framework through tutorials, plugins, etc. It is amazing how much you can do with the platform, and how much you can learn from the community.